From hip hop and pop to punk and folk, these are the nine new artists we are most excited to hear more from in 2017. Find out more about our favorite new acts, and check out their best songs so far below. Zara Larsson first found fame aged 10 when she won Swedish TV talent contest ‘Talang’ covering “My Heart Will Go On”. Now 19, she’s already a huge star back home and well on her way to making an international breakthrough, wooing listeners with bulletproof dance-pop, featuring powerhouse vocals worthy of Rihanna. If she can keep producing songs of the calibre of “Lush Life”, “Ain’t My Fault” and MNEK-collaboration “Never Forget You”, 2017 is Larsson’s for the taking. From BBC Sound Of and BRITs Critics’ Choice nominations to a US tour in support of Troye Sivan and a duet with Sean Paul, Dua Lipa enjoyed a breakthrough year in 2016. With her full-length debut scheduled for release in February, 2017 looks set to be even more successful for the 21-year-old Brit who shares management with Lana Del Rey. The uninitiated should head for “Be The One” first, a slice of sultry, R&B-inspired synth-pop carried by the gorgeous huskiness of Dua’s soulful vocal. 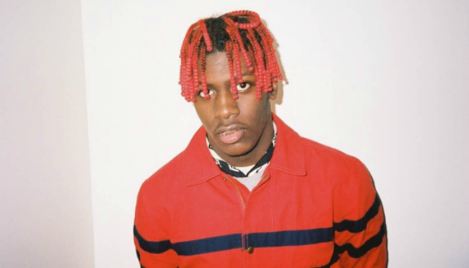 Despite high profile support from D.R.A.M., Rae Sremmurd and Charli XCX, Lil Yachty’s unassailable rise hasn’t been without controversy. Provoking hip hop purists with his lethargic, almost-mumbled flow, the Atlanta MC then rejected the tag of “rapper” while dismissing Biggie and 2Pac as “overrated”. Fortunately, the 19-year-old proved he possesses both the talent and the charisma to back up his confidence, via May’s Lil Boat mixtape. 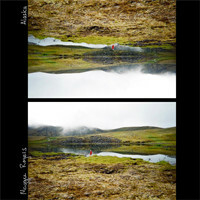 We’re excited for an album-proper. When Maggie Rogers attended Pharrell Williams’ songwriting masterclass at NYU, she could have had little idea what impact the encounter would have on her life. Filmed wowing Williams with her hastily-recorded demo for "Alaska", the video went viral online in June 2016, and within weeks the song had racked up millions of streams. Now signed to Capitol Records, all eyes remain on the Maryland singer-songwriter, and her Sylvan Esso-ish combination of folk and dance music. 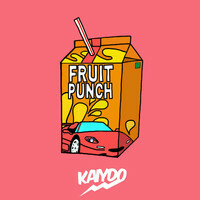 Kaiydo has been on our radar since the start of 2016, when he dropped his single "Red Freestyle" to rave reviews. Less than a year on, the 19-year-old rapper and graphic designer from Orlando, FL, is being hyped as one of the most exciting young voices in hip hop. Listening to "Fruit Punch", it’s not difficult to work out why. Blessed with an easy charm, his relaxed flow, quick-witted lyrical barbs and playful production proves effortlessly engaging, and you get the sense this is only the tip of the iceberg. To New Paltz, N.Y., where Alex Luciano and Noah Bowman have been making a life-affirming racket as Diet Cig for the past three years. With a minimalist set-up of just drums, guitar and Luciano’s vocals - which can flip between sugary-sweet and brilliantly-bratty in the blink of an eye - the DIY duo have already built a devoted following for their joyful pop-punk in both the USA and Europe. 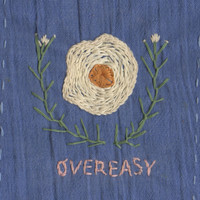 They will be hoping to capitalise on the success of Over Easy in 2017, with the release of their long-awaited debut. In these troubled times, it’s heartening to find young artists willing to stand up for their beliefs. 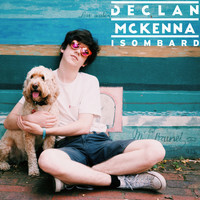 Enter Hertfordshire teen Declan McKenna, the 2015 winner of Glastonbury’s Emerging Talent Competition, and rising singer-songwriter responsible for deceptively sunny-sounding but socially-engaged indie-pop, tackling everything from xenophobia and the plight of transgender teens to FIFA corruption. Check out "Isombard" and get excited for his forthcoming debut, set to drop in 2017. 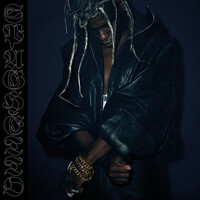 Subversive, gothic, dystopian, apocalyptic: just some of the terms critics have used to describe Gaika’s elliptical, often pitch-black musical aesthetic. What we can all agree on is that the enigmatic, Brixton-based producer and vocalist is one of most fascinating figures in electronic music right now. His debut EP for Warp, Spaghetto, provides a thrilling taster of his capabilities and imagination, offering a grippingly-ominous blend of dub, hip hop, grime and lovers’ rock.